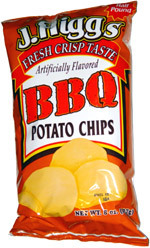 Taste test: These potato chips were thinly cut and had a good sweet barbecue seasoning. 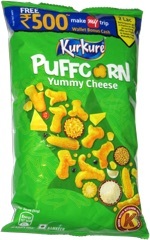 They had a really minimal crunch, but they were still fairly tasty and earned praise from tasters around the chip bowl. Smell test: Good, mild barbecue powder smell.